Camden Boxframe are joinery specialists. We mainly manufacture windows, doors, and stairs. 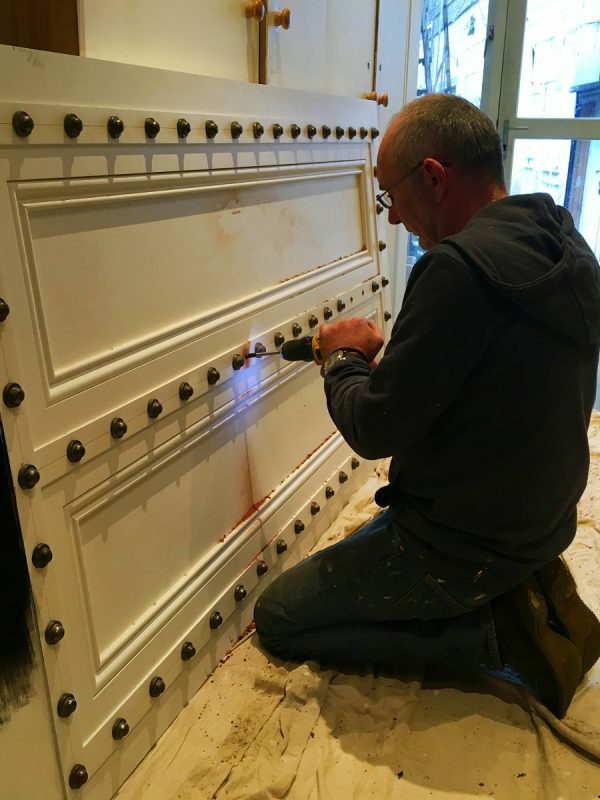 We do many other types of timber work, including kitchen cupboards, worktops, skirting and mouldings. All our joinery is made to measure, and is manufactured in our workshop. Our company offers free estimates in the M25 area, further travel by arrangement. We have our own fitting team that are a friendly and tidy group. Our client base consists of private customers, building contractors, and housing associations. Most of our work comes from satisfied customers through word of mouth. We offer a guarantee on our joinery, all frames for doors and windows are covered for ten years; glass as per manufacturers warranty for five years and hardware as per manufacturers warranty is for one year. 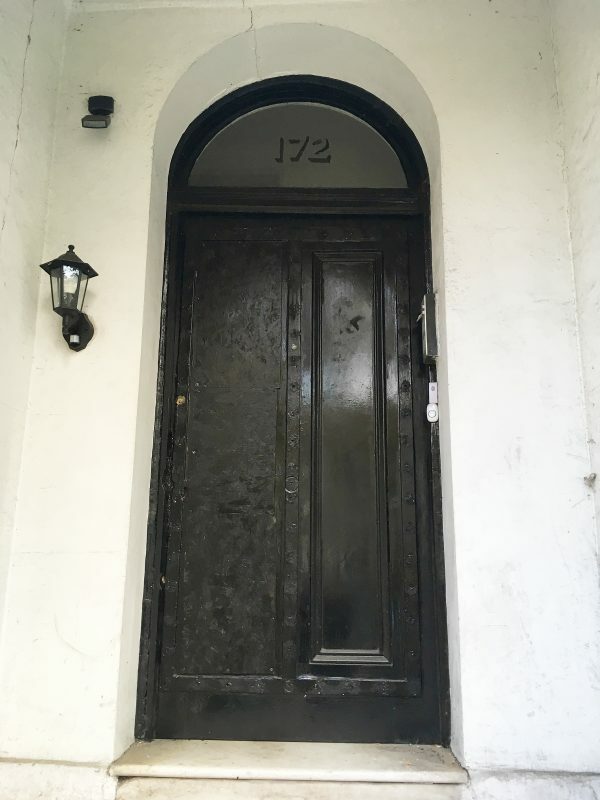 The client approached us to replace a front door which had been kicked in by the police while attending an emergency. 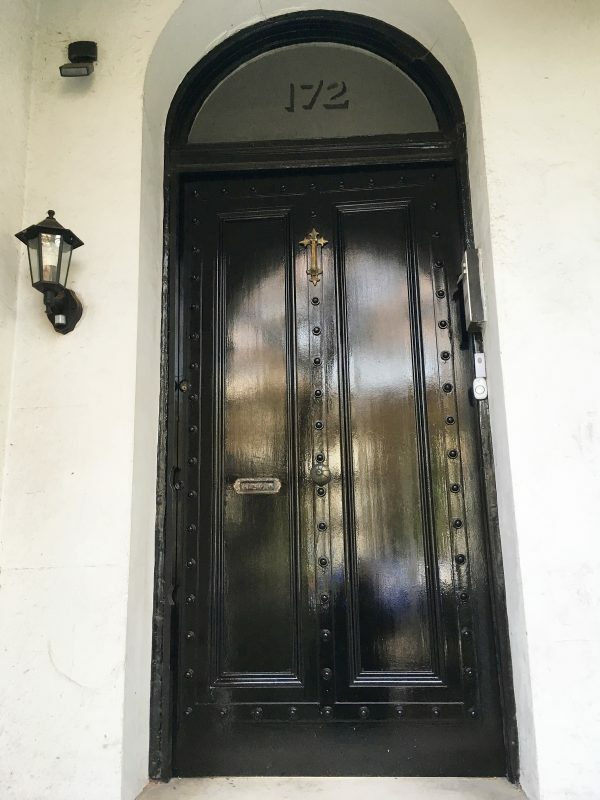 The rebuild involved first repairing and restoring the original ironmongery and then refitting it to the new door. The original door, with temporarily patched damage to the left panels. 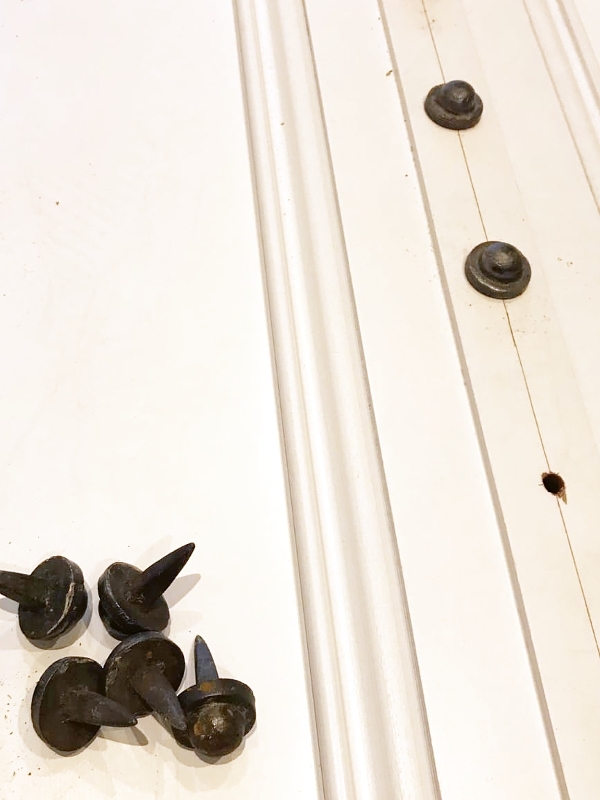 Detail of the replacement door with studs ready to be mounted. 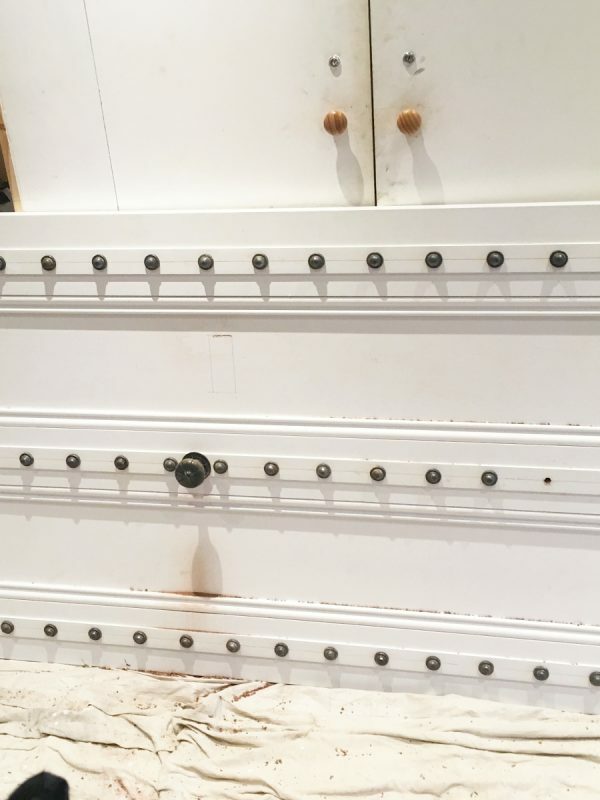 Replacement door with decorative studs partially fitted. 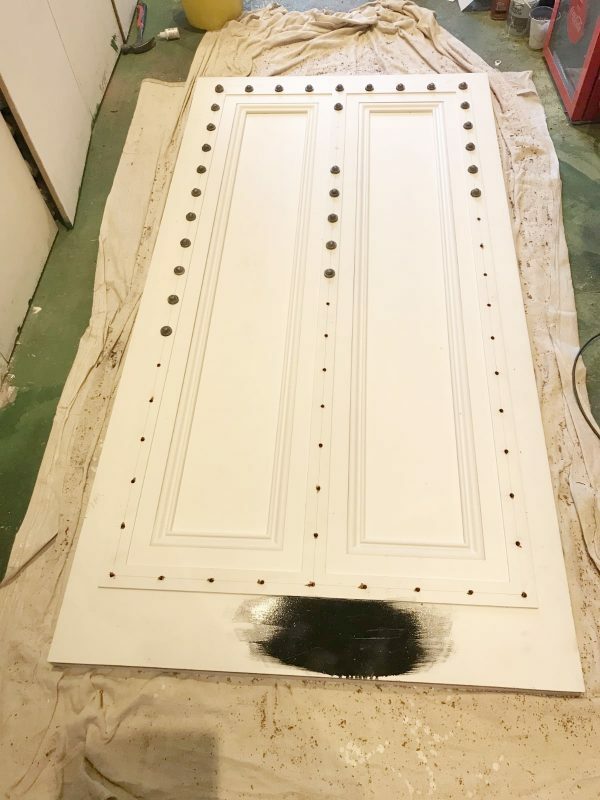 The paint swash at the bottom is a test so we can see how the door will look in its finished paint scheme. 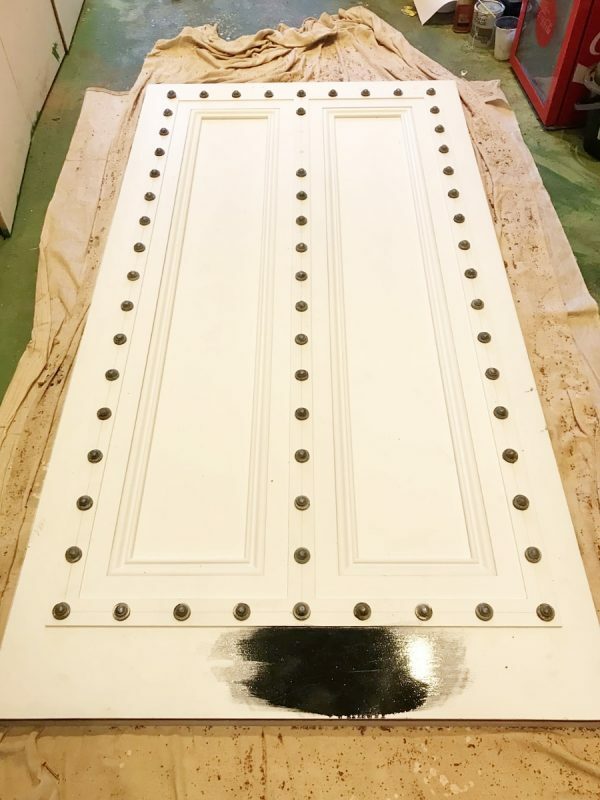 Replacement door with decorative studs in place. Troy drilling out the door handle fitting. Replacement door with handle fitted. 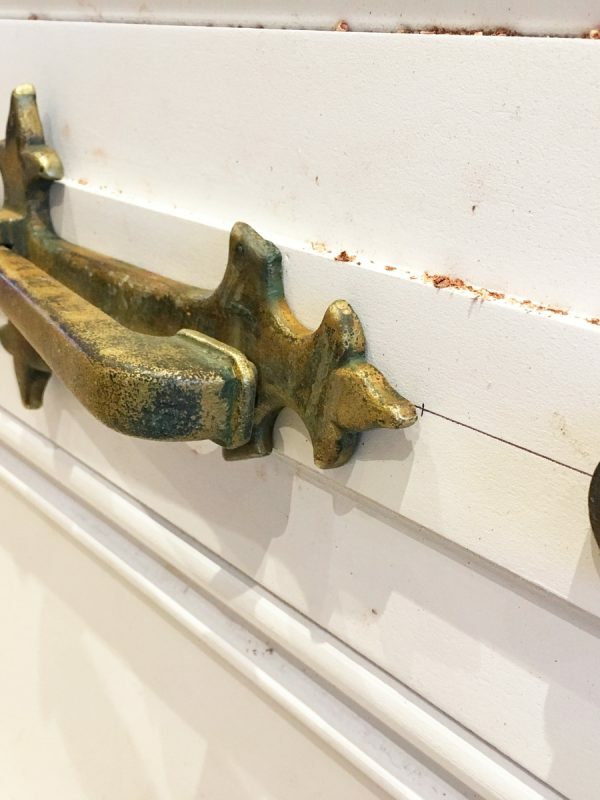 Detail of the replacement door with original door knocker reinstalled. Replacement door after fit and finish.